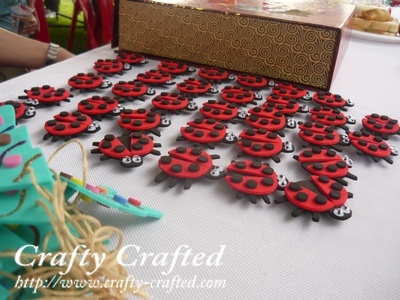 Foam Christmas Tree and Ladybugs are the chosen crafts to be given away to visitors. The art and craft work on display. 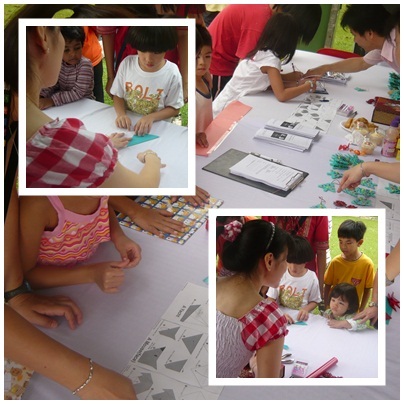 Kids trying their hands on origami as I guide them along.. 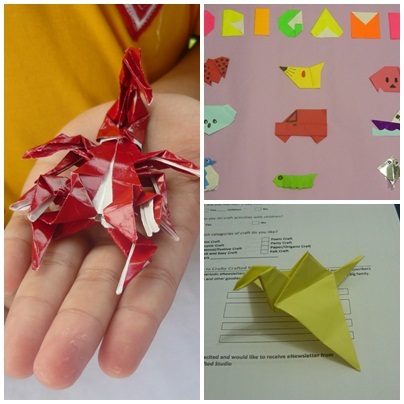 The origamis kids can come out with.. Simply amazing! Visitors filling up the blog subscription form. This craft has 7 reviews. what a waste I didn’t go!! 🙁 So much fun there… sob sob..
A wonderful experience for all of you then! any more pictures to be posted? just love the ladybugs! thank you so much!! oh the big day!!! congrats for the successful demo!